And when Peter came up to Jerusalem, those who were of the circumcision took issue with him (Acts 11:2). 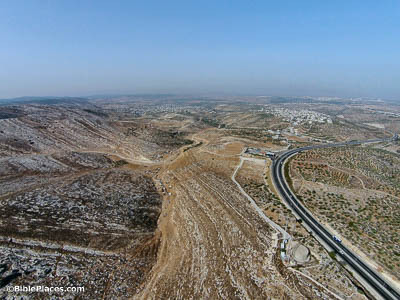 When going up to Jerusalem from Caesarea, as Peter was, most travelers would have passed through the city of Antipatris, before going up the Beth Horon ridge. This route by Beth Horon is the most natural ascent to Jerusalem from that direction, offering a relatively gradual climb. In fact, Scripture testifies that this route was known and used as early as Joshua’s day (Joshua 10:10). I was in the city of Joppa, praying (Acts 11:5). The earliest mention of Joppa is in the records of Thutmose III, who ruled in the 15th century. It long served as an important port city; in fact, Jonah’s ill-fated voyage began here. Several centuries later, Peter was praying in this same city when he received the vision of the sheet. 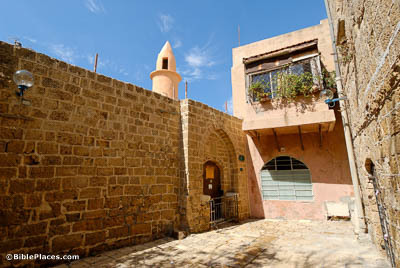 He was staying in the house of Simon the tanner, traditionally identified as this house in the heart of Joppa. 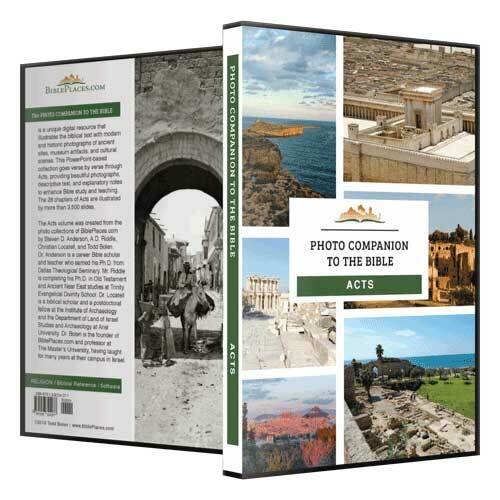 Peter then walked 30 miles (48 km) north to the city of Caesarea to meet with Cornelius. Three men stood by the house . . . having been sent from Caesarea to me (Acts 11:11). The city of Caesarea Maritima was founded by King Herod in 22 BC. 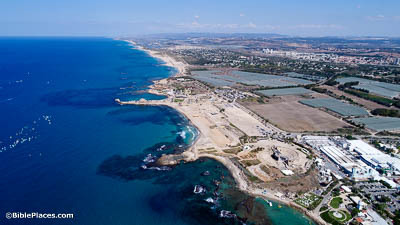 Caesarea’s most important feature was its impressive artificial harbor, which offered unprecedented access to the West. This instantly made it a city of importance, and its population quickly exceeded that of Jerusalem. It is unsurprising, then, that Herod and his successors chose to make Caesarea their capital. Those who were scattered . . . traveled as far as Phoenicia and Cyprus and Antioch (Acts 11:19). Antioch on the Orontes, also known as Syrian Antioch, lies 300 miles (480 km) north of Jerusalem, in the southeastern corner of Asia Minor. It was a very wealthy city by virtue of its placement along the Silk Road. It also hosted a large Jewish community, who settled there at the behest of the Seleucids. So when the Jewish believers in Jerusalem fled, it is understandable why some of them chose to settle in Antioch. Thanks to the influence of these settlers, the gospel soon spread to Antioch’s Gentile citizens as well. And he went forth to Tarsus to seek for Saul (Acts 11:25). 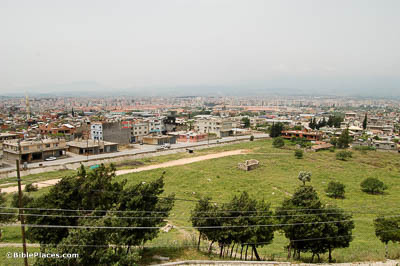 Tarsus was the main city in its section of Western Asia Minor. It sat next to the Cilician Gates, an important pass through the Taurus Mountains, allowing it to profit from the commercial traffic. 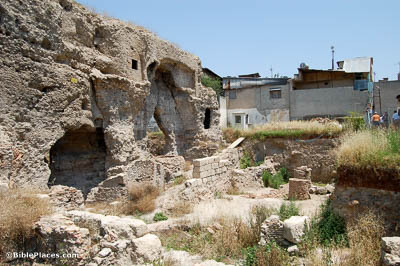 Though large and prosperous in Paul’s day, little of the ancient city can be seen now, since the modern city prevents excavation. These Roman baths are one of the few structures that have been uncovered. A great famine over all the world . . . happened during the reign of Claudius (Acts 11:28). Claudius was a nephew of Tiberius and a cousin of Gaius Caligula, making him a relative of the previous two emperors. 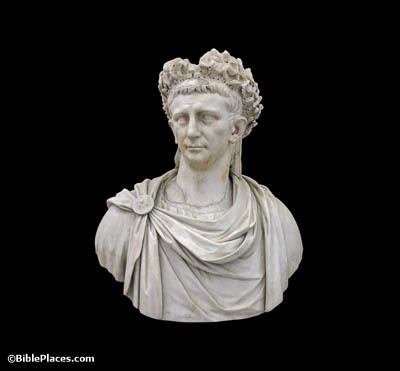 After Caligula was murdered on January 24, AD 41, Claudius was made emperor by the Praetorian Guard the very next day. When the famine struck, he had new harbor facilities built in Ostia, Rome’s port city. That did little to help Judea, however, so the early church provided its own aid.